So you’ve been on the diet for a little while now and you’re feeling great, but have you reached the coveted stage where your body has given in and entered a ketogenic state? In the beginning stages, you should notice that you’re losing weight fast, but pretty soon it’ll level out to a steady weight loss between 1-3lbs a week. You might have to play around with your carbohydrates level until your body reaches a point where eating doesn’t produce an insulin response, and that can take a little bit of time. For some people, they can eat at the top limits of the keto diets (50g of carbohydrates a day.) but others might not see results unless they’re under 20g a day. Be patient with the process and trust that it’s working. If weight loss isn’t your core goal, there are other things you can keep an eye out for to know whether or not your diet is working. As we mentioned, this is perhaps the most obvious sign that your diet is working, particularly if you’re noticing the weight come off very quickly. When you switch to a low-carb diet, your muscles begin to lose water as the carbohydrates are what help water hold on. Once your muscles have dumped the water, you’ll start seeing steady fat loss. Incidentally, this is what causes “Keto Flu” which we’ll touch on shortly. Have you ever had a big carb heavy meal only to find yourself still reaching for the dessert plate when you were done even though you obviously ate enough food? A big benefit of having a higher level of fat in your diet is that you’ll find you don’t feel as hungry as you used to. Sugar spikes in your body caused by carbohydrates have this funny way of signaling to your brain that you’re still hungry, so when you eliminate them and enter ketosis, your body has an easier time regulating those hormones and keeping you focused. We all know what that afternoon crash feels like, particularly after a large lunch. That crash that you hate is caused by your insulin levels dropping. The beauty of ketosis as we mentioned is that your blood sugar will regulate itself, saving you from that nasty crash which means you’ll be able to hammer out your days work faster and still have enough focus to tackle your evening errands. We touched on the “Keto Flu” a little above, but what is it exactly? 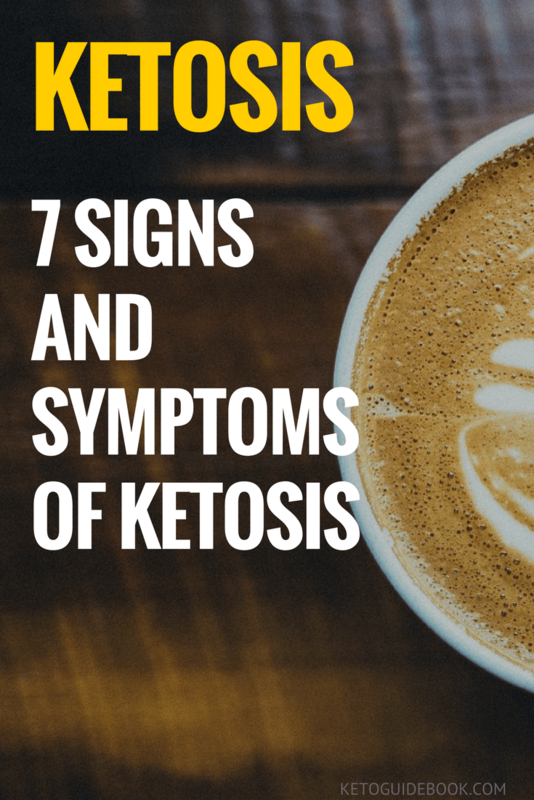 One of the bigger signs that you’re entering Ketosis is an incredible level of fatigue, sometimes accompanied by nausea and headaches. Sounds fun, right? This is when your body is struggling to adapt to the changes you’ve made to your diet (especially if you hit the ground running and drastically altered your lifestyle.) but I have good news for you – it’ll pass. Once you’ve given your body the time it needs to adjust, you’ll feel better than ever and can rest happy knowing you’ve achieved the coveted ketogenic state you’ve been working towards. Be sure to drink a lot of water during this period to stay hydrated to eliminate some of the symptoms of Keto Flu. Food affects everybody differently. It makes sense, of course, since all of our bodies are unique to us. When adapting to a keto diet you might be susceptible to digestive issues such as constipation and diarrhea. If you find you’ve been constipated for more than a few days or alternatively, you’re going too much, try adding some more fiber to your diet and make sure you’re getting enough water. If the issue persists, we recommend visiting your healthcare professional for advice. This is probably the least attractive part about the keto diet, but it’s actually great news if you’re unsure if you’ve entered ketosis! The increased ketones in your blood are what cause this pesky side effect, so if it’s really bad and bothering you, you’ll want to start brushing your teeth more often, using mouthwash and maybe even stocking up on some chewing gum until it subsides. Checking your ketone levels is a great way to determine if you’ve entered ketosis. You can do this a couple of different ways. The first way is to use Urine Strips. Urine Strips are easy to use and cheap to buy, but they’re also not the most accurate way to check your ketones. Of course, the more accurate method is always a little more expensive, and that’s by using a Glucose Meter. You’ll have to prick your finger to get a blood sample for this method, so if you’re squeamish you might want to enlist the help of a buddy. While it might seem daunting at first, trying out a ketogenic diet has shown to be a great way to keep your body happy and healthy, utilize your fat stores instead of building them, and combats diseases that we are all susceptible to. If having greater focus, feeling refreshed and ready to take on your days tasks with enthusiasm is something you’re looking for in your life, try Keto.